We don't really know if we should trust Expansys on this, but according to them, the Sony Ericsson P990i smartphone is set to launch this week at the price of about $1,100. Features of the Sony Ericsson P990i include a 262.000 color QVGA touch screen, push email, WLAN, Bluetooth 2.0, USB, Symbian 9.1 and UIQ 3.0 software platform, music player that supports MP3, AAC and AAC+ formats with a flight mode allowing you to listen to music while the phone is turned off. 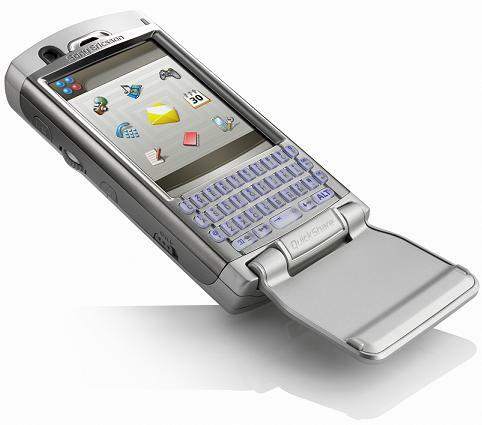 Back in February 2006, Sony Ericsson announced that it has turned the P990i's 2 megapixel camera with autofocus into a Business Card Scanner, which uses a character recognition software to convert the scanned information from the card to contacts on your P990. The same thing happened in January, when Mobilebee announced that the Nokia E61 business phone will launch in mid February. It never happened, so don't get your hopes up this time. Yep! And I bet that Expansys isn't far from it either. We'll see about it in about 3 days. As I said ... DON'T get your hopes up.